In an effort to continue modernizing Lyons Commercial Data products and services, we are excited to have launched a redesigned version of our iBankRegistry™ page. The new routing number verification page retains most all the functionalities of the old page, in addition to a few changes and new features. iBankRegistry™ no longer provides Social Security Number (SSN)-Key verification. Users details and account information can now be found under “Your Account”, located in the new, top-right navigation pane. 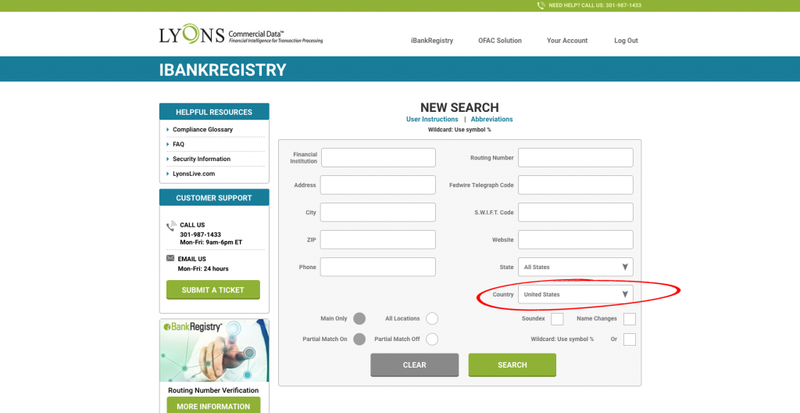 Users can navigate between iBankRegistry™ and OFAC Solution searches using the new, top-right navigation pane. 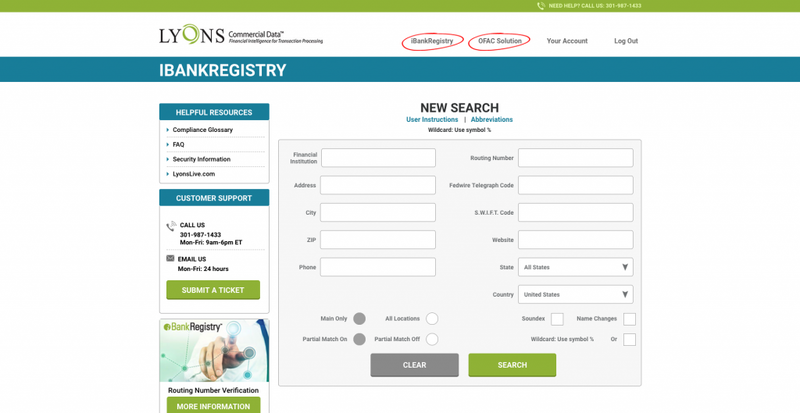 Canadian financial institutions are now available for search in the new iBankRegistry™ database. In the iBankRegistry™ search, users now have the ability to select a “Country” when performing a search. 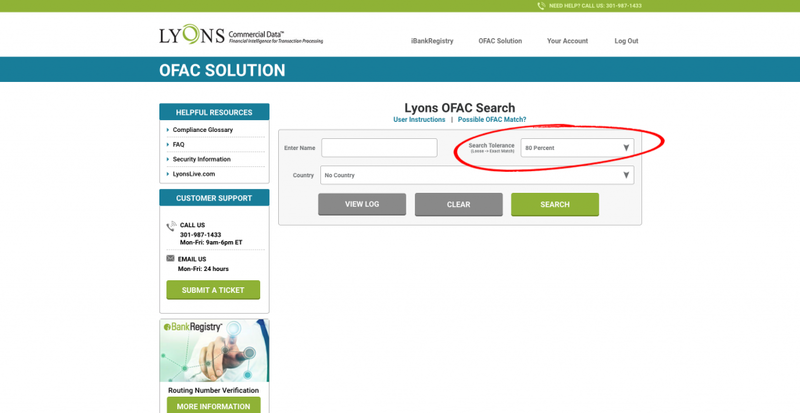 In the OFAC Solution search, we’ve updated our “Search Tolerance” tool from a slider to a simplified, drop-down menu. The new iBankRegistry™ page retains all compatibilities of the old page, as well as containing fully-responsive mobile optimization — meaning it fits perfectly onto your tablet or smartphone’s display. Our home page, all product and service information, news, events, and other free resources are still available at www.lyonslive.com. Please update your bookmarks or website links where appropriate. 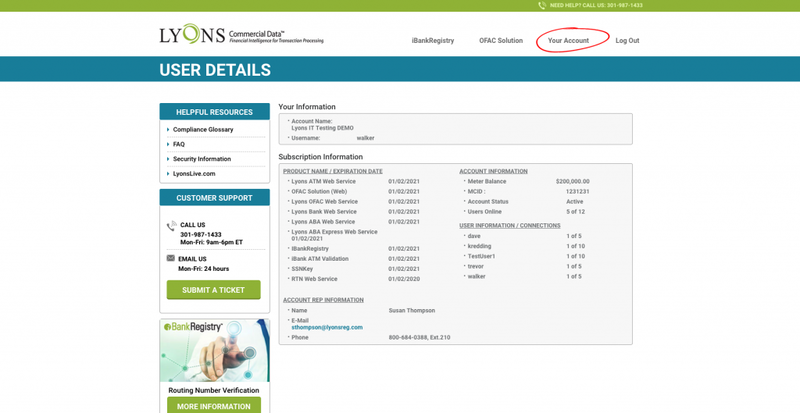 If you encounter any issues, please contact the Lyons Commercial Data Support Team. As we continue updating other areas of our services, we will send additional updates via blog posts, email communications, and notices on service pages.